We Fix Various Sliding Door Parts Including Roller, Screen, Track, Wheel & Latch. Searching For a Sliding or Glass Door Repair Specialist in Singapore? Do you have a glass door that’s damaged or a frame needs repaired? You must act on that quickly because it can be dangerous leaving your home and kids exposed to a broken glass door. 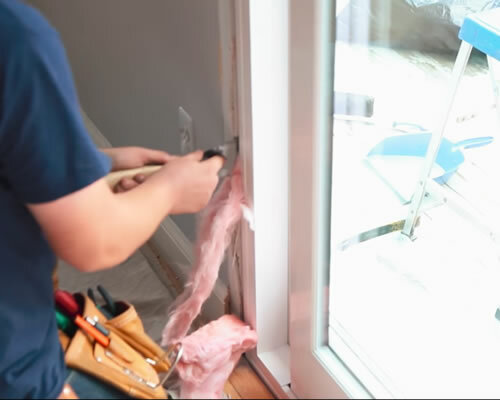 Knowing when your door needs repair and replacement should be your priority. A5Door has its own team of experts with the skills to do repairs and replacement jobs on all kinds of glass doors. The company caters to all service calls anywhere in Singapore which you can schedule any time of the week. A5 Door prides itself in the professional service that they’re able to provide to customers. We have glass door repair and replacement experts who have years of experience in the field. You also get courteous and helpful staff who cater to your needs when you’re inquiring for a service or setting an appointment. We have the tools and equipment necessary to do the job quickly. We have door specialists who can perform the services you need. Clients can also rely on us during emergencies because they will attend to repair jobs and even deliver new replacement glass doors for your home. A5Door has the most reliable glass door services in Singapore! I’m really happy I made that call. I’ve got to say that their repairmen were very professional and did their repair relatively quickly. My wife was very happy with the results. Somebody told me about A5Door to help me with our door problems. I’m very happy that they were able to help me with our sliding door. Now, it’s running on the track smoothly again. Call Us to Repair Your Door Today! Those who are looking for a reliable glass or sliding door service company or door lock service should check out A5Door.com. We have all the services you need. No need to worry about anything because our repairmen will be right at your doorstep once you’ve set an appointment. Setting up a schedule is easy because you can do it on our website. Everything is a breeze. Book us right now! Offer sliding glass door repair services to Singapore’s residential & commercial business owner. We fix various door parts including roller, screen, track, wheel & latch.